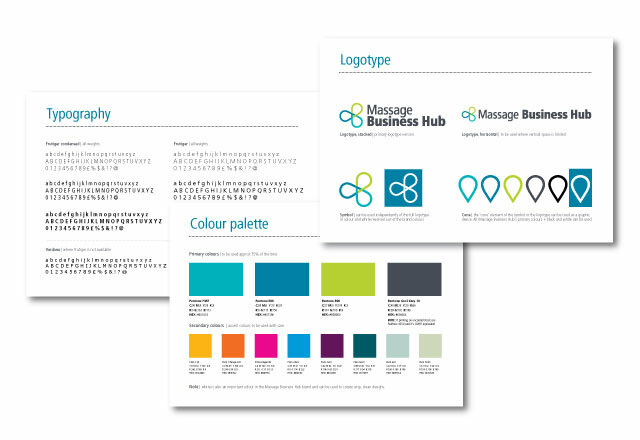 Designing an identity for start up business, Massage Business Hub, a business mentoring service for massage therapists. The identity is created around the concept of balance. The three parts that the Massage Business Hub is built upon; Practice-building skills, Marketing & business skills and Clinical skills, work together to create a successful massage business. During the briefing stage the business model was described to us as a ‘three legged stool’ that could not be balanced without all three parts. This is the concept we developed into a strong, visual logotype. 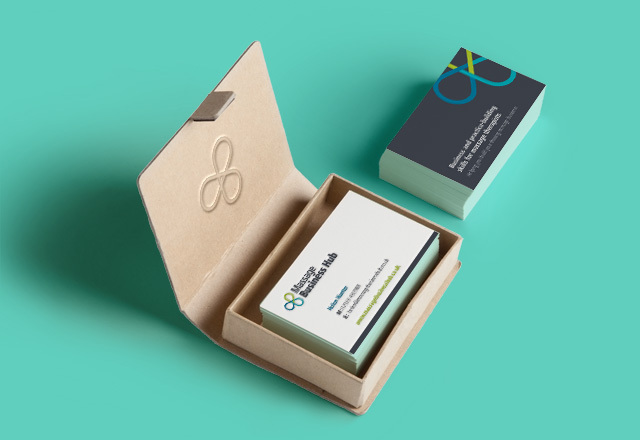 We also designed a colour palette, advice on font usage and a set of guidelines around the visual identity, as well as digital templates and printed stationery.